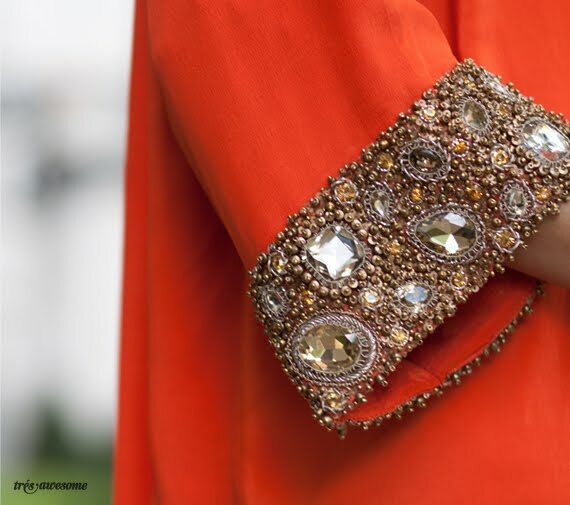 Designer Azeeza Khan is the woman behind the luxury fashion label AZEEZA, which produces amazingly intricate garments with loads of fabulous embellishment entirely by hand. I caught up with her a couple of weeks ago for a little street style action and interview (see below). Where are you from Where are you from Where are you from originally? A complete city girl - born and raised in Chicago - the historic neighborhood of Old Irving Park to be exact! A few homes just a few doors down from me were actually a part of the Underground Railroad movement. What brought you to Chicago? Do you see yourself staying here long term? My dad migrated from India in the early 60’s to attend UIC for a Masters in Chemistry so that established the “home base.” In terms of staying long term, my husband and I asked ourselves your same question last August before we purchased real estate in the West Loop. We pondered over furthering our careers in NYC or even internationally but in the end, we decided that Chicago is everything to us. We love this city – it has a certain peaceful yet invigorating balance. I design to create art in the form of timeless, statement garments that tell a dimensional story of fabrics, embroideries and embellishment. I aim to make those that are AZEEZA clad to feel confident, stand out and unique. What is your biggest inspiration (artist, designer, musician, etc)? Inspiration to me comes from all sorts of levels – mainly in my day to day – varying from furniture to international street style. I would attribute my biggest influence in my designs to be my Indian heritage – the opulent embellishments, vibrant colors, the silks, the prints, the batik and more - all have played a role in defining my aesthetic. Colorblock and print-on-print is not a trend to me as Indian fashion has been doing it for centuries, combining fuchsia, cobalt blue, lime green and orange on bold layered prints. Do you have a style icon? If not what is your favorite era for style? My moods range too much to hone in one style or person but I do think that the 60’s were really a defining era for fashion. From the boho chic hippies to the Jackie O glamour, the spectrum of style and cuts were timeless, something that I always strive for in my designs. I love how she takes inspiration from her heritage. Her clothes are beautiful. Aren't they gorgeous?!? Look for more pics in the coming weeks. Oh my goodness. I love her. She's just stunning! Agreed, and an equally delightful personality to boot! What a great feature & photos! 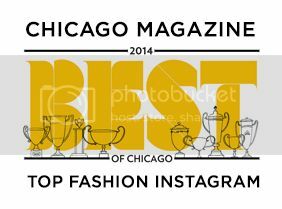 I love Azeeza's designs and reading the interview makes me so excited for Chicago. I think our fashion scene is on the cusp of something great! I love her style! So glad that she chose to stay in Chicago! So many people in different industries start out in Chicago, then flea to other areas. Chicago is such a fabulous city. I miss it everyday! Emma, I love the series on local designers. Very inspirational!